Batten down the hatches, stock up on supplies, and make sure your loved ones are safe…but more importantly, prepare for some epic surf. The scientists have spoken and they’ve confirmed it—we could be in for one of the largest El Niño seasons of recorded history. That means abnormally warm water in the winter, torrential downpours and, of course, code red surf. Storms will be forming throughout the summer and into the winter in uncharacteristically warm waters around the equator, sending large purple blobs plummeting towards the coastlines of Central America, Mexico and California. While Hurricane Dolores recently provided a small taste of an El Niño season—fun surf, moderate rains, slightly warmer water temperatures—it ultimately ended up as the proverbial version of surfer’s blue balls. Dolores was a tease; she led us on with prospects of grandeur but before we knew it, she was in an Uber home, leaving us with our trunks around our ankles, feeling unfulfilled. But it looks like Dolores will return, and with her she’ll bring a truckload of feisty friends, all ready for action. The largest El Niño of recent history occurred in 1997 and ’98. 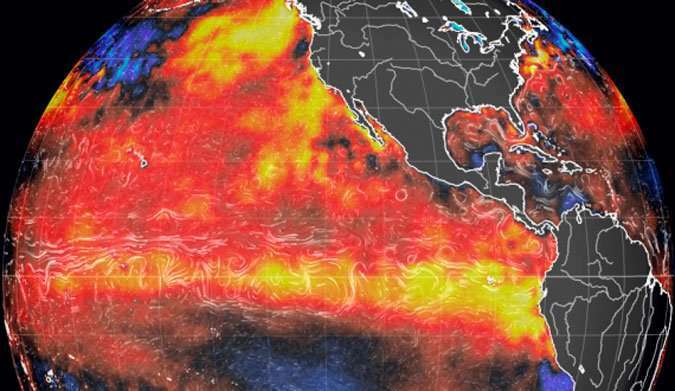 Since each El Niño is its own specific beast, there’s no saying for sure if we can expect the same knee-trembling, every-surfer-calling-in-sick conditions. We can, however, begin to compare. In relation to June 1997, we are already seeing similar abnormalities in water temperature and equatorial storms, ahem, Dolores. But perhaps setting this season apart from 1997-98 is a pool of record-setting warm water off the coast of California. Remember all those sickly seals washing ashore? Or how about the throngs of crabs that recently carpeted San Diego and Orange County beaches in crimson red? The nutrient-lacking pools of warm water are pushing sea life to the beaches. It’s also what could combine with the predicted equatorial storms, creating a one-two punch of waves.